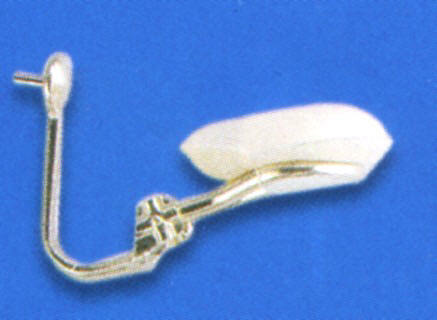 Six pair of small rubber post earring backs designed to cover the sharp ends of the earring post to prevent sticking when using the phone or sleeping. Perfect for small children and adults. 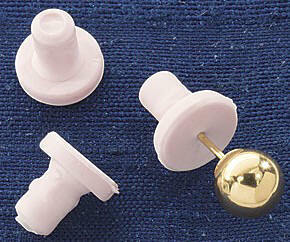 Use in place of regular earring backs for soft flexible support that covers earring posts. 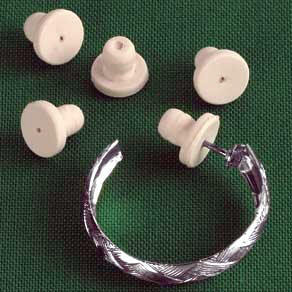 The package contains 12 earring backs (6 pairs of earrings). 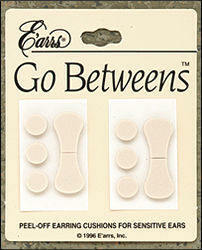 Soft, flexible cushions designed to slide onto the clip portion of a clip earring to relieve pressure from pinching and prevent metal from touching skin. The package contains 3 pairs (6 cushions). 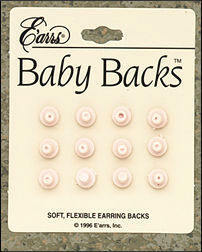 Contains an extra strength formula designed to keep pierced ears clean, healthy and germ free. It contains aloe for the natural enrichment of the tender ear lobes plus Benzethonium Chloride to kill dangerous germs that lead to sore ears. For proper pierced ear hygiene, E'arrs® recommends this product be used daily and for newly pierced ears at least twice daily. The bottle contains 4 fluid ounces. 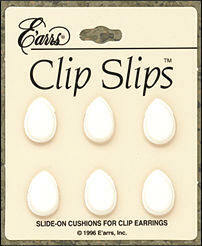 Just peel off adhesive pads for use on the base and paddle of clip earrings to prevent discomfort from pinching or metal sensitivity while wearing clip earrings. The package contains 6 round dots and 4 paddles.